My thanks to http://www.lovereading.co.uk for providing this reader copy for review. 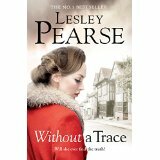 ‘Without A Trace’ is Lesley Pearse at her best. When Molly Heywood finds her friend Cassie murdered, she determines to find out the truth of Cassie’s past and that of her little girl, Petal. This sets off a chain of events that take Molly away from her Somerset home of Sawbridge to a new, and possibly life threatening existence. 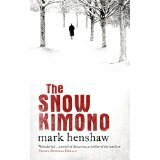 I thoroughly enjoyed this book as, whilst some of the plot could be deemed to be a little far-fetched at times, it has real drama and excitement. Carefully constructed, Molly’s story reveals much about the poverty of post war London and attitudes to single mothers and women in general. Indeed, Lesley Pearse explores several weighty themes in a highly accessible read, such as the effect parents like Molly’s abusive father have on their children, family relationships, love, madness and poverty. There is a real sense of thorough research and realistic setting. The characters are well rounded and varied so that there is always someone to attract the reader. Molly’s personality gradually and realistically changes as a result of the events that befall her, making her an engaging heroine. I think those who love sagas and also Maeve Binchy’s writing would really enjoy reading ‘Without A Trace’ and I can see it being taken on many a beach holiday this year. I found it a roller coaster ride of murder, love and intrigue. ‘Without A Trace’ is published on May 7th 2015. Many thanks to Hannah Robinson at Quercus books for providing a copy of Amy Snow by Tracy Rees in return for and honest review. 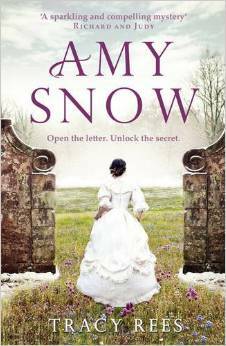 Amy Snow was published on 9th April 2015 and became a Richard and Judy Best Seller. Amy Snow is available for purchase here and from Quercus. Amy Snow is so named after being found in the snow as a baby by wealthy heiress Aurelia Vennaway. Aurelia’s stubborn persistence forces her parents to take in this foundling as long as they do not have to encounter her. When Aurelia dies as a young woman, Amy is ejected from the house and so begins a letter based treasure hunt set for Amy by Aurelia. ‘Amy Snow’ is a thoroughly deserving winner of the first ‘Richard and Judy Search for a Bestseller’. From the first word of the Prologue to the final word off the Epilogue this book holds the reader’s attention. As I read it I thought what a fabulous BBC period drama series it would make. 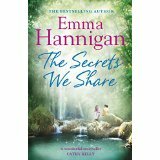 Short chapters race along and there are mini cliffhangers and twists and turns in Amy’s journeys that have been so well constructed and written that it is as if you are travelling with her as you read. I really appreciated the variety of construction with a range of sentence lengths that fit the different situations perfectly. One of the great strengths of this novel is the creation of character. None is perfect, from Amy and Aurelia to Mrs Riverthorpe and Lady Vennaway, which makes them totally realistic and appealing. Amy herself is often stubborn or naive and frequently behaves in a manner with which I could fully empathise. There is also subtle humour underlying the narrative, and the use of the first person with entirely realistic dialogue and memory makes Amy’s story vibrant and engaging like listening to that of an old friend. I really enjoyed ‘Amy Snow’. It was intelligently and vividly written, well researched and realistic whilst managing to be a real page turner. Lovers of historical fiction must read this as soon as possible. I can’t thank enough Kerry Hood at Hodder, Bookbridgr and Lindsay Hawdon for providing a review copy of this wonderful, wonderful book. 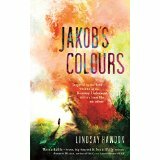 I can hardly bring myself to produce a blog post about ‘Jakob’s Colours’ by Lindsay Hawdon as I feel anything I write will only besmirch the memory of having read it. None of my words can conjure up the emotional experience of reading this book. The narrative concerns 8 year old Jakob’s fight for survival and is based around the Second World War treatment of Roma people. It spans back into the past to give the reader a full understanding of Jakob’s heritage through the childhood lives of his parents, Lor and Yavy. We see that ‘We live in a time of angels and devils, but not a single one of us is either’ as Hawdon explores great cruelty and great kindness in her writing. Meticulously researched, I found this novel highly effective and deeply affecting. Not a single syllable seemed out of place as the beauty of colour and description drew me in to the story. I could feel, for example, the tenderness of Lor’s caress of Jakob’s face, and the sense of loss running throughout was almost too much to bear. The writing is sophisticated and totally convincing. The prose is beautiful on many levels, from the visual imagery of colours, through Lor and Jakob’s allegorical story telling to the exploration of humanity. Reading ‘Jakob’s Colours’ has made me look at the colours of life with a renewed perspective. ‘Jakob’s Colours’ is by far the most emotional and incredible book I’ve read this year and, truthfully, it may be the best book I’ve ever read. I cannot praise it highly enough.